Superb bar stool in an industrial design. 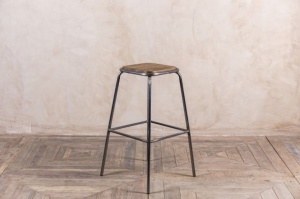 Timber seat surrounded by a metal rim with metal legs all in a gunmetal finish. 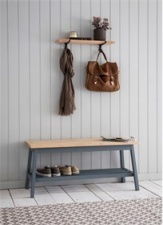 A great addition to a kitchen or bar area.